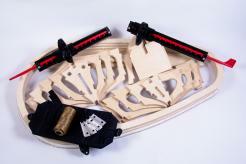 Our frames only kit consists of all the precut frames for the boat. 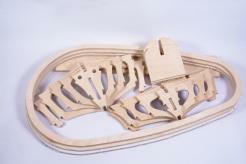 All frames are cut from Baltic Birch plywood, inside edges are rounded over. 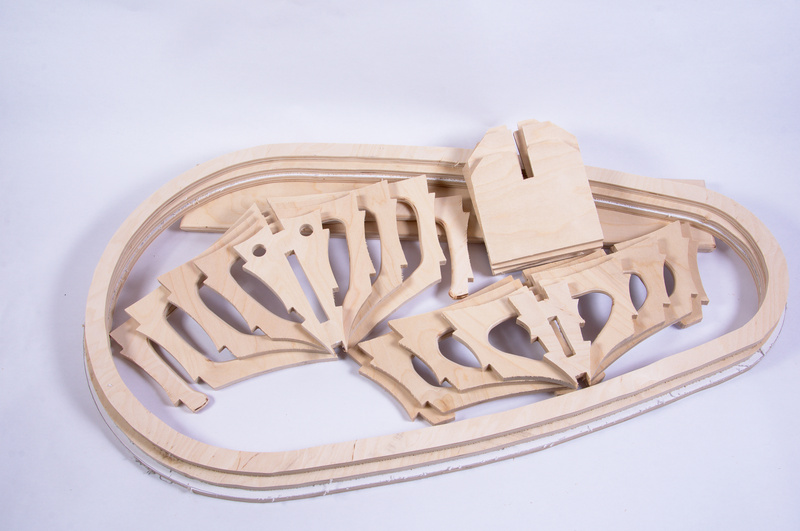 They will need a light sanding before being assembled but are otherwise ready to use. LAMINATE BEAM INCLUDE if applicable. I built a Tandem Crayfish after buying a frame kit, fabric and the book on how to build. It was really fun building the frame, which took shape in a short period of time. It was especially satisfying to me because I am a klutz woodworker. Everything fit together thanks to the precise pre-made frames. My stringers, gunwale and keel were made out of cedar. It took several trips to the big box home improvement store to get the lumber I needed and several scarf joints. These weren't pretty, but seemed to do the job. You will need a lot of clamps, so be prepared to beg, borrow and steal. Once finished, I had to make some adjustments to the seats. The boat seems fast, perhaps a little less stable than I was expecting, but it did not take me long to get used to it. I mostly paddle kayaks, but I am loving my P-roe. excellent design,instructions.Very please with finished boat and will soon order another kit!